If you’ve been on the exhibition circuit a while, you may find yourself having to replace your portable display stands quite often. Whether you get bored of the design or the stand is showing some signs of wear and tear from the months of dragging it around and constructing and deconstructing, sometimes you just want to start from scratch. The answer is this: rather than buying anew, just give your stand a refresh. A bit of TLC can go a long way! If you’re exhibiting on a shoestring or you want to be more sustainable and stop buying in excess, there are plenty of ways you can give your display stand an update. Read on for our top choices. This can apply to your entire booth, not just your exhibition stand. When you have the same display one season to the next, why not get creative? If it’s near the festive season then draping tinsel and spreading glitter never did any harm. Fresh flowers are always a welcoming touch, and how about showing off some pumpkins and leaves in the autumn? Think of the little finishing touches which can attract more people to your booth. If you fancy a new slogan or have a new campaign you’d like to promote at your next show, then there is no need to buy a new exhibition stand – you simply need to buy a new graphics panel. 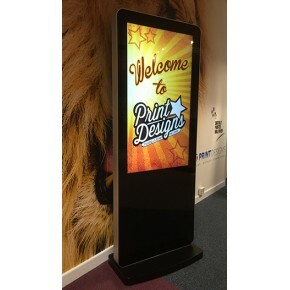 Sort out your new design and then contact the company you bought the original display stand from. They should be able to advise you on how to order new graphics and should do it for a good price as a returning customer. Adding interactive elements to your booth always has a positive effect on the amount of time spent at your stand. Why not attach a container of lollies or sweets to your display stand? People are bound to read about your business while they decide which sweet they want! Adding digital displays and surveys on iPads is another great idea to get people more involved at your booth. Hopefully we’ve persuaded you that you don’t need to splash out on a brand new display stand every time you fancy a change. 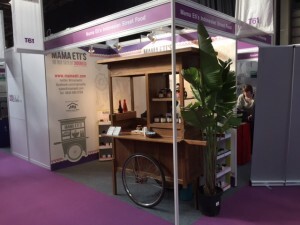 Have you got any other tips for businesses who are exhibiting on a budget? Let us know!